Mercedes Benz Of Arrowhead is honored to present a wonderful example of pure vehicle design... this 2018 Mercedes-Benz C-Class C 300 only has 5,861mi on it and could potentially be the vehicle of your dreams! This CERTIFIED Mercedes-Benz includes: CRYSTAL GREY/BLACK, LEATHER UPHOLSTERY BLACK, MB-TEX UPHOLSTERY HEATED FRONT SEATS HANDS-FREE ACCESS PACKAGE PREMIUM PACKAGE SMARTPHONE INTEGRATION PACKAGE DARK BROWN LINDEN WOOD TRIM WHEELS: 18" TWIN 5-SPOKE SD-CARD NAVIGATION PRE-WIRING WHEEL LOCKING BOLTS (PIO) *Note - For third party subscriptions or services, please contact the dealer for more information. * Your buying risks are reduced thanks to a CARFAX BuyBack Guarantee. Enjoy a higher level of satisfaction with a CARFAX one-owner vehicle. Why own a car when you can own a lifestyle? We at Mercedes Benz Of Arrowhead offer you nothing less than the best with our Certified Pre-Owned vehicles. This vehicle meets Mercedes-Benz's highest level of standards, allowing us to provide you with what you deserve. 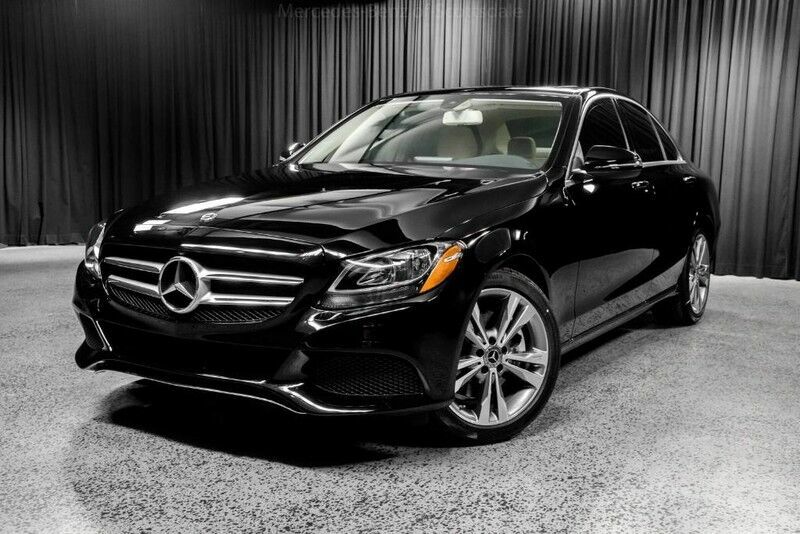 There's a level of quality and refinement in this Mercedes-Benz C-Class that you won't find in your average vehicle. In addition to unbelievable options, this vehicle comes equipped with a factory warranty.